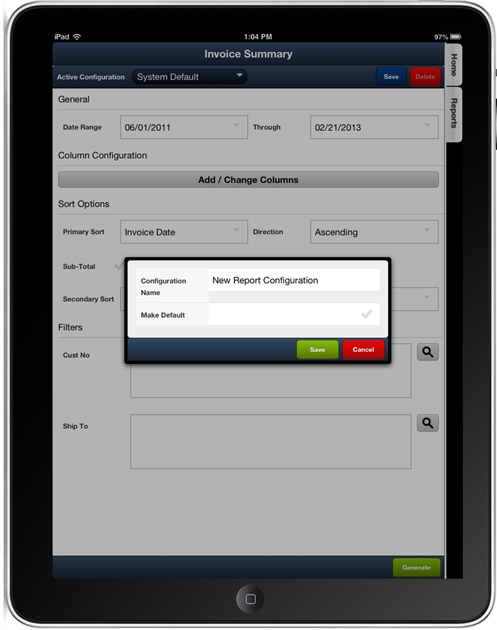 Open invoices for customers similar to an AR customer statement. 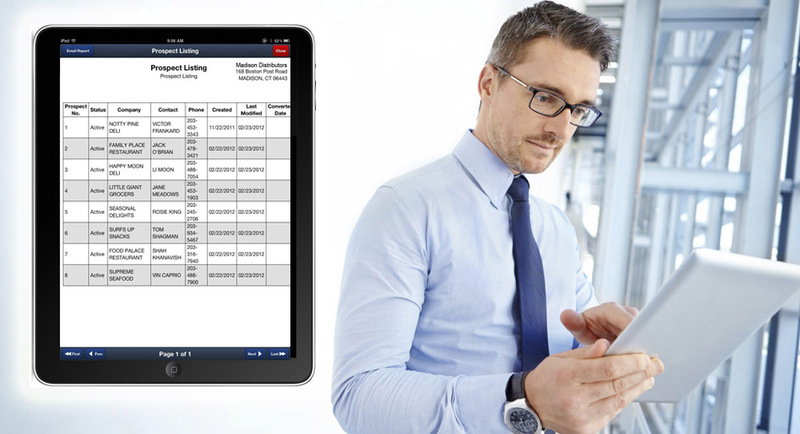 When generating reports, your DSR can specify such parameters as the beginning and ending date ranges, data fields to use as columns, primary and secondary sorting orders and filtering options. This is a very flexible and easy to use reporting engine which provides many options to create the exact style of report required. 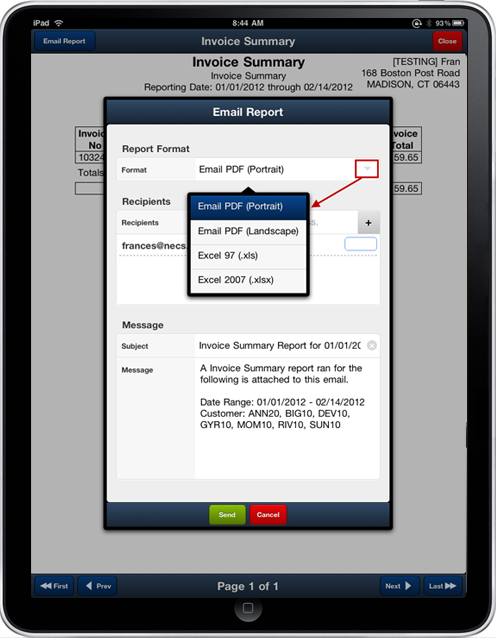 Reports can be emailed as either a PDF or Excel document and sent to any number of recipients. 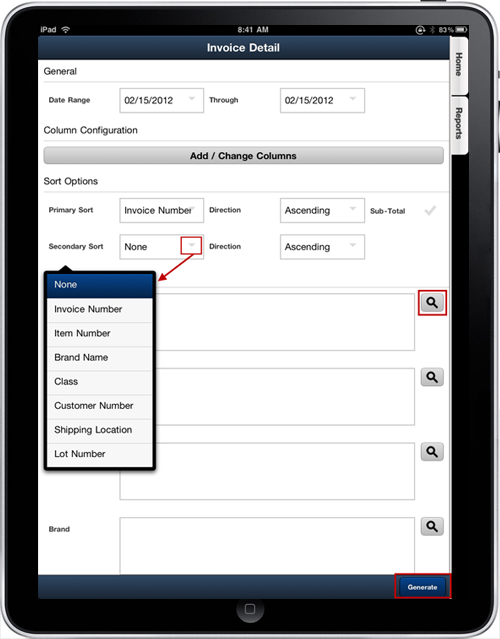 Recipient email addresses can be added from their customer list or typed using the pop up key pad. It's important to note that your System Administrator must first enable the report email feature for the DSR, and also must indicate which reports are allowed to be emailed. This helps prevent situations where you want to restrict a DSR from emailing important information which they are not authorized.